Atos, a global leader in digital transformation, today announces it has been awarded an 2017 Oracle Excellence Award for Specialized Partner of the Year - EMEA in Cloud Infrastructure. 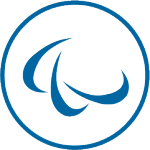 Atos is a Global Platinum level member of Oracle PartnerNetwork (OPN). 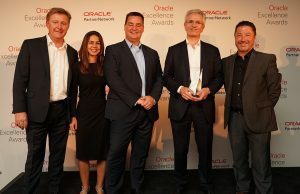 The Oracle Excellence Awards for Specialized Partner of the Year - EMEA encourages innovation by Oracle PartnerNetwork (OPN) members, who use Oracle’s products and technology to create value for customers and generate new business potential. This award reflects Atos’ innovation and commitment to serving Oracle clients by delivering Oracle solutions and services to solve critical business challenges. Atos was presented the 2017 Oracle Excellence Award for Specialized Partner of the Year – EMEA in Cloud Infrastructure for demonstrating excellence in the development of hybrid cloud infrastructure. With its cloud service offering – Atos Canopy Orchestrated Hybrid Cloud – Atos provides businesses with highly industrialized and automated end-to-end Cloud services, including end-to-end service orchestration and management over multiple Cloud types. As an all-inclusive service provider for Oracle, Atos has expertise and accreditation across the complete spectrum of applications, technologies and associated services. With over 1,500 skilled Oracle professionals across the world, Atos brings together proficiency in core technology, including database and middleware, plus vertical market sector and horizontal cross-sector applications, as well as the entire lifecycle management and Quality Assurance of these technologies. Atos is a global leader in Cloud Migration and Management, with its 11 multi-tenant cloud hubs, 3,300+ cloud experts and 8 Global Delivery Centers around the world. It has been positioned as a Leader by Gartner in its Magic Quadrant Data Center Outsourcing & Infrastructure Utility Services (DCO/IUS), Europe, North America and APAC; a Global Leader in Private Cloud by Everest Group and as a European Leader in Cloud Infrastructure Migration & Management by NelsonHall.